If you don’t want the bother of making and rolling-out pastry but still want your mincepies, then this is the pie for you! 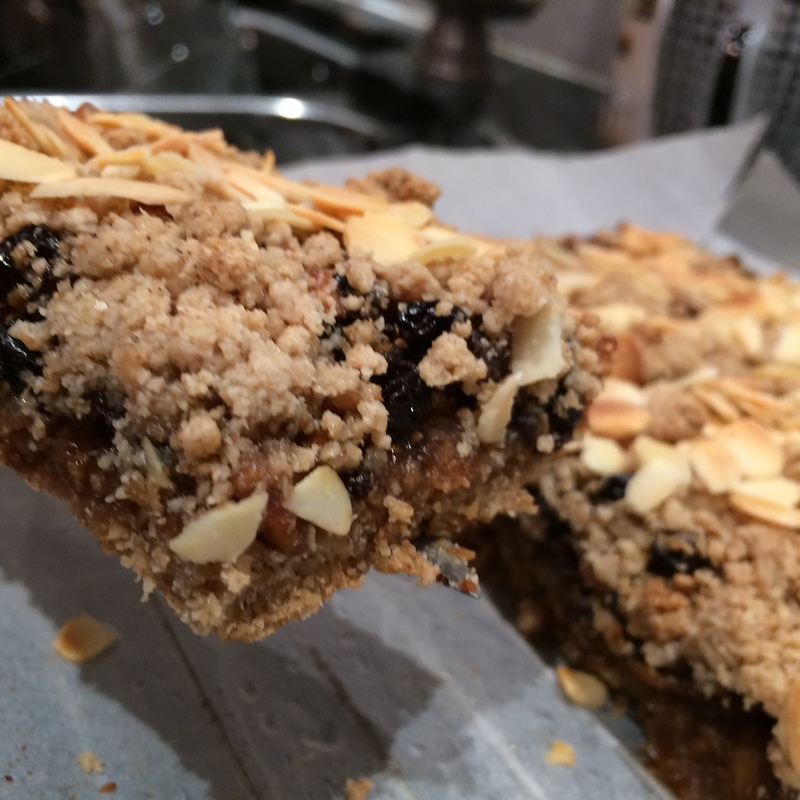 Although it is more of a crumble mixture than a pastry, this pie goes down really well and can also be used as a dessert; just imagine it with a lovely dollop of natural yoghurt or coconut cream !! Yum. I blitzed my gluten-free oats as it is so easy to make the flour and I used maple syrup, coconut oil and lots of almonds (we love them). Blitz the oats using a Nutribullet or similar, to a fine flour then pour the flour into a medium sized mixing bowl together with the spices and mix well. Melt the oil/butter with the maple syrup/honey then add to the flour. Mix well to incorporate. Press about half of the mixture into the tin to evenly line it. Coursely grate the apple (skin too) into the mincemeat and stir well together. Spread this over the pressed crumble mixture and sprinkle with the remaining crumbs. 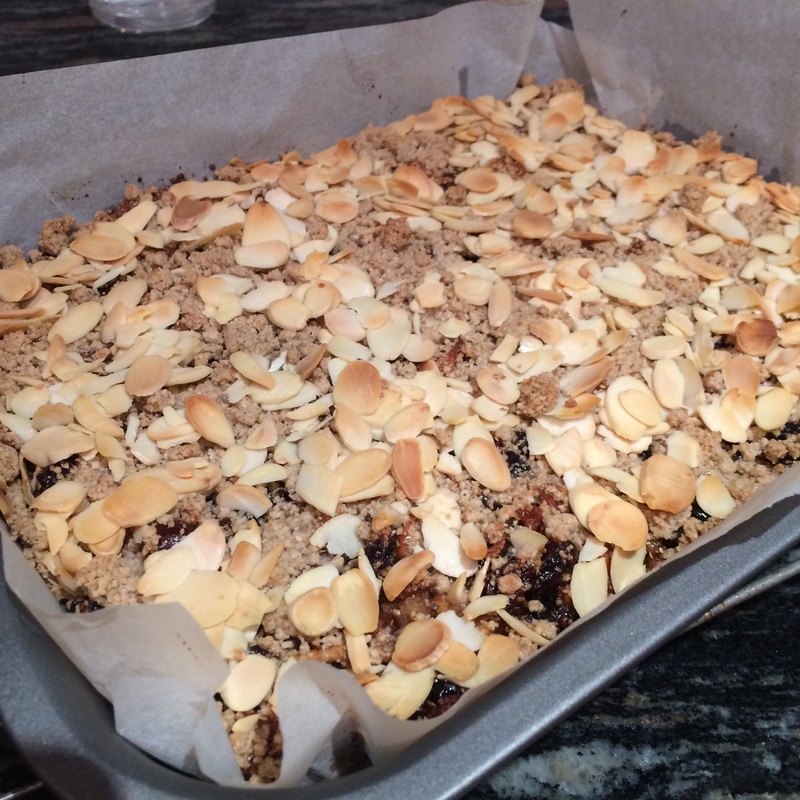 Top with flaked almonds if using. Allow the pie to cool for at least 15 minutes before cutting into slabs in the tin. Lift out on the parchment and allow to cool on a wire rack. It firms up as it cools. 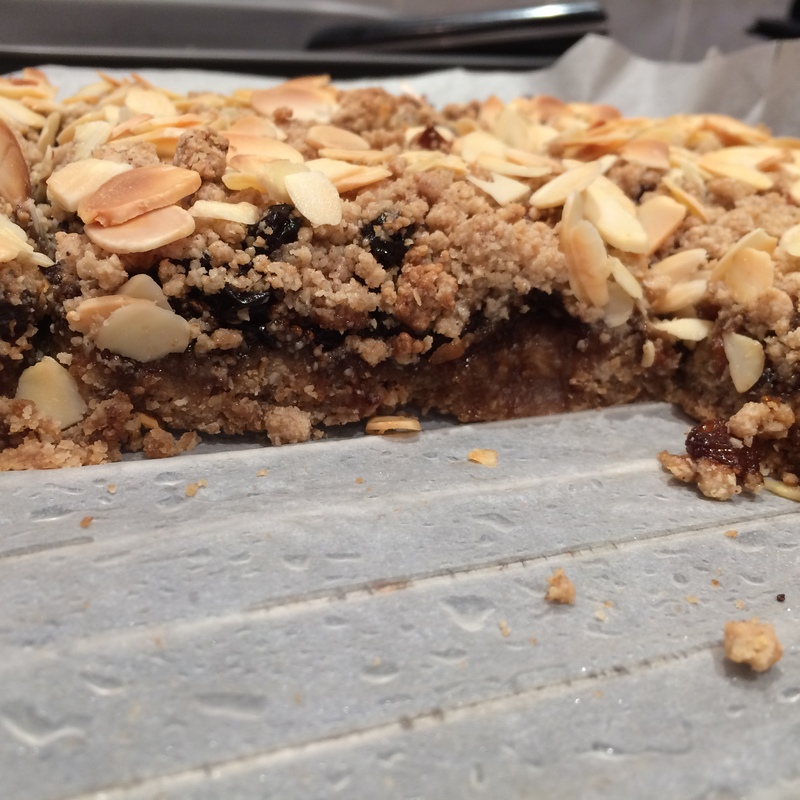 This entry was posted in Miscellany, Sweets and Treats and tagged Almond, Christmas, Gluten Free, Healthy Eating, Mince Pies, Mincemeat, Oats, Vegetarian, Wheat-Free. Bookmark the permalink.